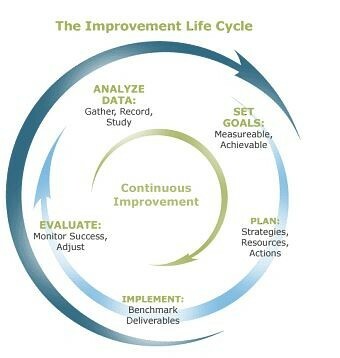 We believe we must continuously improve. 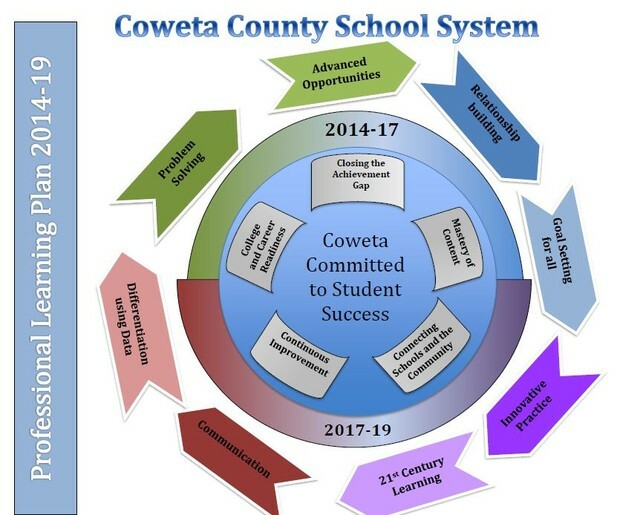 In the graphic above, you will see some of the areas of emphasis that Coweta is focused on for the 2015-16 school year. This newsletter will present professional learning sessions that are offered during the next several weeks as well as provide some embedded videos for on-demand professional learning. Happy learning! When​: Thursday, September 10, 2015; 8:30 a.m. – 3:00 p.m. When: Tuesday, September 15, 2015; 8:30 a.m. – 3:00 p.m.
A one-day workshop for eighth-grade teachers with interactive lessons on Georgia economic history and economic concepts found in the GPS. This workshop has no registration fee, the cost of a substitute teacher reimbursed, instructional materials provided, and lunch included. This session will focus on Best Practices for working with our young learners. When; Tuesday, September 29, 2015; 8:30 a.m. – 3:00 p.m.
A one-day workshop for high school teachers focuses on the relationship between economics and the world of sports. Teachers receive economic content specific to all five economic domains in the GPS, teaching strategies created specifically for high school economics, lessons designed to actively engage students, and a DVD copy of the ESPN 30 for 30 documentary “Broke” that examines the financial problems of professional athletes. This workshop has no registration fee, the cost of a substitute teacher reimbursed, instructional materials provided, and lunch included. ​​Lunch is provided. Substitute reimbursement by the Georgia Council on Economic Education is allowed. Provides an overview of the 2015-2016 Student Assessment Program. Topics include 2015-216 state mandated assessments, the student assessment handbook, conducting secure and successful test administrations, roles and responsibilities, materials management, and test security procedures. Coweta County School System views its educational leaders as being significantly influential in a school community which pursues high learning through continuous, systematic, and sustained improvement. The 2015 Leadership Academy IV is designed to identify, develop, and inspire current administrators and aspiring administrative candidates. Through a focus in line with the Georgia School Standards, the leadership academy will include programs for participants to increase their knowledge and leadership skills for application of curriculum, instruction, assessment, fiscal management, planning and organization, educational law, federal programs, human resources, student support practices, family and community involvement. Need help navigating Google Apps for Education? During the month of September, schools will conduct a self-assessment using the AdvancED Standards for Quality. Each school has designated a ten-member teacher team to lead this effort. To summarize the process, a video has been created. Click below to access the video.